* Cucumbers are rich in fiber, potassium, and magnesium. All these nutrients are effective in lowering blood pressure. Additionally, its mild diuretic properties, owing to its high potassium and water content, also help to regulate blood pressure. * It reduces dark circles. Keep cucumber slices on eyes every day for 8-10 minutes for reducing dark circles and puffiness around the eyes. Or simply apply grated cucumber for a smooth and refreshed skin. 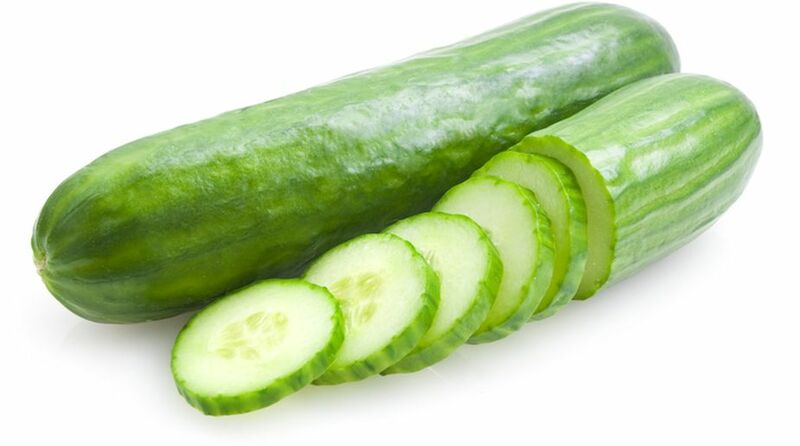 * Cucumber, due to its high water content and anti-inflammatory properties, helps in treating tanning. Mix cucumber juice with yogurt or lemon juice and leave it on the skin for 10-15 minutes daily. It will lighten the suntan and will treat mild sunburns. * Cucumber seeds are storehouses of potassium and Vitamin E that help to reduce wrinkles, fine lines, blemishes and other signs of aging. Another simple way of keeping your skin happy and glowing is to regularly consume water with added cucumber slices.